We provide links that we think might be of interest to our visitors and customers. WeddingsAreFun.com includes these links for reference only and is not intended as an endorsement of any product or services offered by these sites and we are not responsible for their contents. Your source for Wedding Planning and Professionals! BestWeddingSites.com - Wedding Planning Directory! Wedding planning guide for brides-to-be. Search for local wedding photographers, DJs, Designer wedding dresses, and so much more! Love Poems and Quotes - Romantic collection of love poems and love quotes. Related themes including famous, inspirational, friendship, and weddings. Celebrity weddings expert Sasha Souza is a Modern Bride wedding consultant, destination wedding planner and celebrity weddings designer. SuperWeddings.com - Wedding planning Ideas, Ideas, Ideas!!! Free! CREATIVE,UNIQUE, and Inspiring WEDDING IDEAS, including Wedding Decorating ideas & photos, craft projects, ideas for a more personalized & meaningful wedding, plus expert planning tips, money saving secrets, wedding career info + more! The Internet’s #1 Bridal Resource. Free online planning directory and search engine by state, national and international listings. Hundreds of pages of informative, helpful and fun information. Free honeymoon giveaways, and much more. Couture Inspired * Heirloom Quality * Upscale Designs - Couture designs for discriminating women include handcrafted pieces for special occasions as well as for the bride and her entire wedding party. We make jewelry out of the finest components: natural Rock and Quartz crystals, Swarovski Crystals, Freshwater Pearls, Semi-precious Gemstone Beads and Sterling Silver or 14k Gold-filled metals. Custom creations are one of our specialties and our unique pieces are designed to compliment couture designer gowns. All pieces are created in the United States by a team of individuals who take great pleasure in working with beautiful components. Sometimes very challenging techniques are required in making many of the unusual pieces. Expert advice and free tips from Chef Mike Flowers will help you save "thousands" on your wedding reception. Why hire a high-priced caterer when you can do it yourself in style? 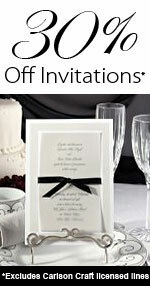 Other brides have - you can too! Hawaii Weddings - Above Heaven's Gate offers Hawaii Wedding packages consisting of traditional Hawaiian Beach Weddings, complete with waterfall, providing a truly unique and affordable Hawaiian wedding experience.